Whether its entertainment, politics or other breaking news, everyone reads news stories. Luckily, in this mobile world, there are many a smart news app for both iPhone and iPad as well as Android. 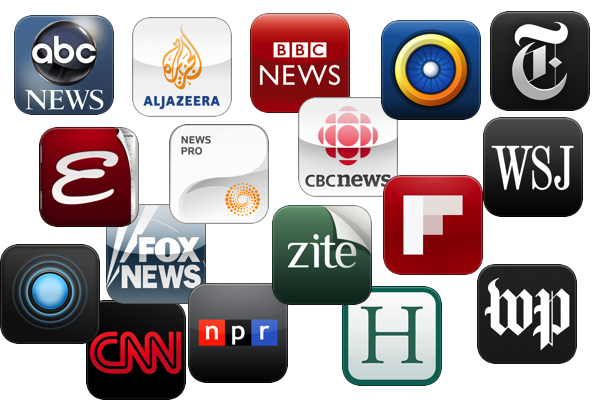 In this article, we tell you what the best apps for news are for any smartphone. So, whether you like getting your news from social media sites like Twitter and Facebook or from conventional news apps like CNN news or Fox news, here are the best news apps. With Apple News, you can get all the stories you want to read in one app from various sources. It’s a good way to reduce the number of apps on your smartphone. The app itself acts as a news aggregator. Unfortunately, the beautifully designed news app is only available on iOS devices. Likewise, Android’s equivalent to Apple News is Google News. The application offers up-to-date news coverage, aggregated from sources all over the world by Google News. Yes. There’s an application called Smart News App. It is a news reader that pulls information from various sources and arranges them in categories such as sports, entertainment, and politics. You can swipe through each category to find the latest stories of your favorite topic. Flipboard is another of the more popular news apps. You can create a custom news feed with your favorite news sources and sites. The Flipboard app includes animations, large images, and a modern user interface. Yahoo’s Newsroom App offers news stories from around the world in almost every category imaginable. It is a trusted source of news and can also pull articles from other sources into their RSS reader. If you’re into the economy and politics then the MSNBC News App is a good go-to choice. Another great source of breaking news is the ABC News App. ABC provides both local news as well as international news on varying topics. For news across the United Kingdom, Europe, and International community, the BBC News app is highly recommended. Like most apps on the list, it also offers push notifications to keep you in the loop. Moreover, if you are in the UK, you can watch BBC news live from the app. The Washington Post is available pre-installed on your Fire Tablet as part of Fire OS and includes a six-month free trial followed by another six months for just $1. It’s also available free on the iOS App Store, the Amazon App Store, and the Google Play Store. You can get news from around the world on this platform. Perhaps most often associated with a certain World Leader, the Fox News App is still a popular news aggregator for Americans. Although, as of late, their news sources can be a bit sketchy. Nonetheless, the app allows you to stream live broadcasts and keep up to date with local news via push notifications.